Apple Safari support is dead? No, not really, the new Turn Off the Lights Safari extension update is now online. We worked very hard to get all the features from the latest Turn Off the Lights Google Chrome extension version to the Safari web browser. And need more time to import this well in User Experience of the Apple Safari web browser. Today is the day you can enjoy our new version. There is a lot of big changes in this version, such as the new Audio Visualization, Mouse Volume Scroll, a long press on the lamp button to get the context menu, the new color picker etc. In the new version, we improved the user experience to open fast the Turn Off the Lights options page. Previously, to customize the Turn Off the Lights Safari extension you must first open the Safari “Preferences…” window, then a second click on the tab “Extensions”. And finally you can open the Turn Off the Lights options page. Now with the new Safari extension version, you do a long press on the lamp button. Then you see a context menu popup coming down the gray lamp button. And now you can share this extension, but also to open direct the options page. When we working on the latest stable Safari web browser, we test this extension also in the next Safari web browser. 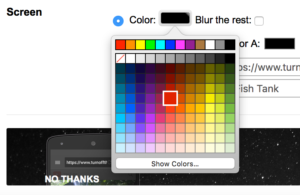 So in the Safari Technology Preview web browser version 10.1 (release 18), you will get a new and better color picker. You can choose now fast your favorite color. Also, we improved few general bugs in the Safari extension. 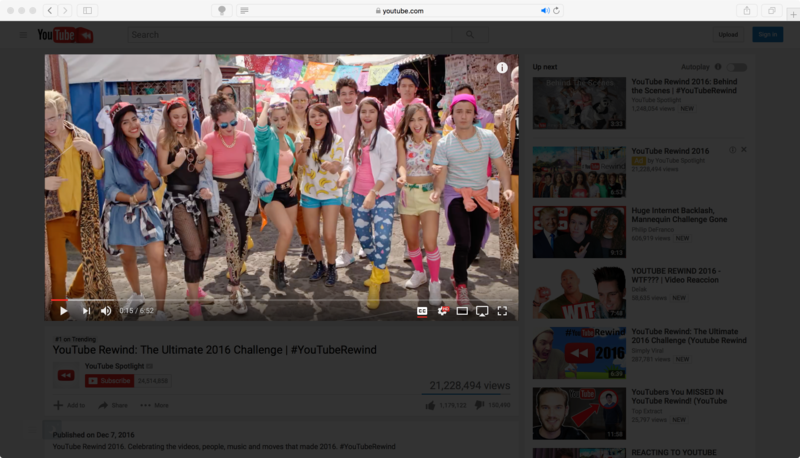 So you get the best online video experience in your Safari web browser. Turn Off the Lights Safari extension v3.3.0.14 is available for Safari 10.0.2 and Safari Technology Preview 10.1 for macOS Sierra. And you can get the Safari extension from the Apple website – Safari Extensions page. If you have any questions or feedback for us, you can use this support form. Don’t forget to support our work by rating this browser extension to 5 stars and sharing this browser extension to your friends. Next PostNext Can I help with a Donation?